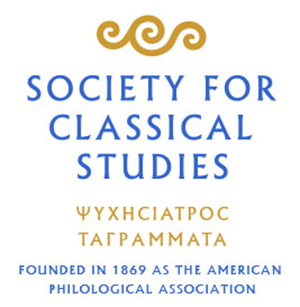 In her recent blog post on the website of the Society for Classical Studies, “Working Toward a Just and Inclusive Future for Classics,” Prof. Joy Connolly (hereafter C) makes a powerful call to action in the wake of the events that transpired at the recent Annual Meeting of the SCS. We agree that young scholars should be encouraged and rewarded for articulating new and positive visions for the field and for striving to make it more inclusive. Above all, we agree that the Classics community needs to address what Dan-el Padilla Peralta here calls “the collective pathology of a field that lacks the courage to acknowledge its historical and ongoing inability to value scholars from underrepresented groups.” However, as graduate students who have been moved by C’s call to action, we are concerned by the potential outcomes and the limited scope of these proposals. C’s recommendations concern two groups of the Classics community that are in very different positions: (1) faculty members with tenure, and (2) graduate students, adjuncts, postdocs, lecturers, contingent faculty, and other early-career scholars who are not protected by tenure. While we commend the recommendations directed towards tenured faculty, we are concerned that the suggestions listed under the heading “For departments undertaking searches” would compel graduate students and early-career scholars to express opinions in an environment that does not offer them true freedom of expression. In the course of their employment as teaching assistants and instructors at universities, graduate students lack the protections to question the ethics of teaching undergraduate courses in Classics that promote, in the words of the SCS Board of Directors, “a view of the Classical world as the unique inheritance of a falsely-imagined and narrowly-conceived western civilization.” We must use the course descriptions, syllabi, and textbooks that we are given and often have little say in shaping the narratives we are asked to impart to undergraduates. To pose a strenuous objection to these narratives on ethical or political grounds risks both our job security as graduate instructors and our reputation in the context of an ever-shrinking academic job market (more on this below). This is a worrying prospect for all graduate students and early-career scholars, but it is most troubling for those who have been historically marginalized and who are attempting to develop new narratives and extended political awareness within the field. It is neither just nor realistic to compel applicants and employees to express political positions in an environment that has never offered them institutional protection to do so. There are also material obstacles that must be overcome in order to achieve a just and inclusive future. The participation statistics from the AIA/SCS’s placement service tell a straightforward but brutal story: while the number of jobs listed has decreased only slightly between 2003 and 2018 (the total number of postings declined by 12.7%), the number of participants in the placement service grew steadily, increasing by 58.1% from 370 applicants in 2003-2004 to 585 in 2017-2018. Furthermore, there has been a steep increase in the number of contingent faculty positions over the last fifteen years. The percentage of tenured or tenure-track jobs out of the total number of jobs posted dropped from 59.6% in 2003 to 36% in 2018. Whereas roughly one in four participants in the placement service could get a tenured or tenure-track job in 2003, less than one in ten could land such a job in 2018. While we understand that the number of people enrolled in the SCS/AIA placement service is not necessarily a direct reflection of the number of applicants, the overall trend is discouraging. Although the statistical realities of the academic job market are rarely addressed in a direct and public way, they pose a fundamental challenge to any efforts to make the field more inclusive, especially given that many graduate students make large personal and financial sacrifices in order to pursue advanced degrees in Classics. And while choosing to pursue a job outside of academia is nothing to be ashamed of, most PhD students in Classics are given no guidance about how to navigate the non-academic job market. If the hiring rate for newly-credentialed K-12 teachers fell to less than 10 percent, it is hard to imagine that this would not be regarded as a major crisis that warranted immediate political action and structural reform. The numbers speak for themselves: the chances of gaining stable employment as a tenure-track professor in Classics or an affiliated department has gone from bad to abysmal over the last several decades, and there is no indication that this will change in the near future. Meanwhile, contingent and temporary academic positions relegate many highly qualified scholars with PhDs to the ranks of what has been called the academic precariat, as the university moves toward a model inspired in part by the “gig economy.” This is, of course, part of a much wider problem in humanities departments and academia as a whole, and we are well aware that this problem begins with the university administration and not with the academic faculty. Yet we also believe that this problem demands a response from tenured faculty: the only people with the institutional protection to advocate for real change through political action. Secure funds for undergraduate scholarships for students from underrepresented groups, including students of color, first-generation college students, and students from low-income families. Institute a form of affirmative action directed toward populations that are most underrepresented in the faculty and grad student body. Join the SEIU Faculty Forward Movement and work with the AAUP in order to advocate for a living wage for all professors and contingent faculty. Support graduate student unions and advocate for a living wage for all graduate student workers. This should include health insurance for graduate student workers and their families. Obtain paid maternity and paternity leave for all university employees. Encourage a reasonable retirement age for professors (i.e., 65). Establish university-wide general education requirements for undergraduates that include the study of the humanities and the humanistic social sciences, including literature, philosophy, history, art, and archaeology. Finally, we want to address the anonymity of this statement. We are aware of the SCS’ recent board statement condemning “anonymous online attacks,” as well as the response defending anonymous speech as a valid method of communication in an environment characterized by stark imbalances of power. We believe that anonymity has allowed us to express ourselves more freely than would otherwise be possible. We hope that the Classics community can move toward a future where the protections of anonymity will no longer be necessary in order for all community members to engage in productive debates about the discipline.